Microsoft will make its Edge browser faster in the next Windows 10 update // The Verge reported during a developer session at Build recently, the software giant outlined its priorities for the next release as part of the Windows 10 Fall Creators Update. Top of the list is making sure opening and closing tabs are a lot smoother. If you’re familiar with Edge, you’ll probably be aware of the slight lag when opening a new tab and typing a URL occasionally. It spoils the experience, and Microsoft is aiming to eliminate this. Alongside performance improvements, there are some subtle design changes on the way. As part of Microsoft’s Fluent Design System, we’ll start to see some more modern design touches in Edge. 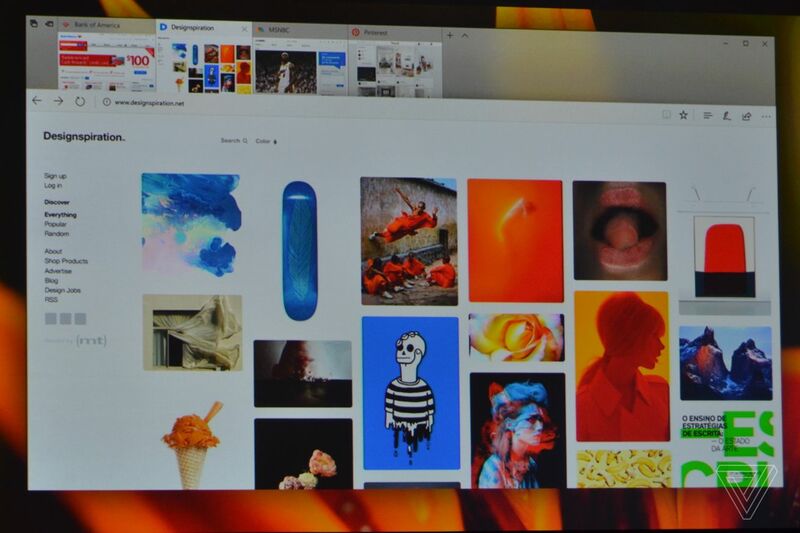 A new favorites animation is part of that, alongside visuals for when you click on objects in Edge. Most of the changes are really minor on the design side right now, but Microsoft clearly has bigger overall plans with the Fluent Design System to gradually overhaul its Windows user interface. Microsoft is also bringing progressive web apps (PWAs) to Edge. Google engineer Alex Russell coined the PWAs term, and they’re essentially websites that progressively become apps. That should mean that websites will be able to offer more app-like experiences in the future, with improved notifications and offline support. It’s still early days for PWAs, but it’s encouraging to see that Microsoft is ready to support them.